In the scorching Texas summer heat, nothing better than a watermelon, right? 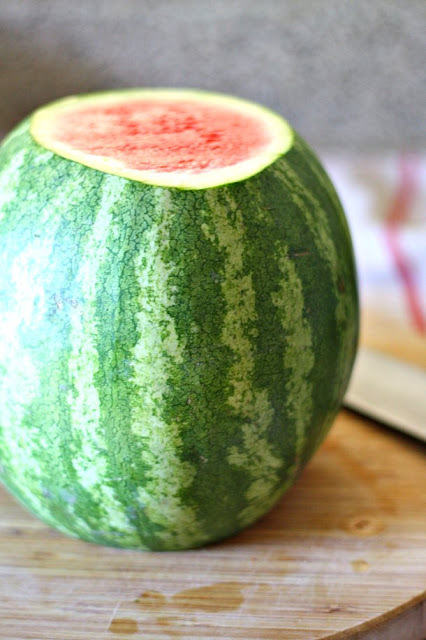 Well, lets take a look at how to pick the best watermelon so that once you cut it open it is fully ripe and sweet. * Lets get one thing straight. Seedless watermelons are not genetically modified. They are a type of hybrid watermelons. * You know how people knock or tap the watermelons at the store? They have a point. Once you knock on the watermelon it should be strong and your hand should bounce off of the melon. The surface should be pretty hard. A dull thud indicates that the watermelon is not fully ripe. So now you can be one of those people! * Take a look at the color of the watermelon. It should be dull not shiny and bright. Dull color means that it is fully ripe. * Find the yellow/orange spot on the melon. If it is white or not there at all, then don't pick it. This is where the melon was resting on the ground as it was ripening. Yellow/orange means it was on the vine long enough to ripen. * Make sure the melon does not have irregular bumps on it. Pick a fairly round one. These bumps indicate that those areas did not get sun/water and did not fully develop. You can see the yellow/orange spot on the watermelon here. I find this the best possible way to not be wasteful when cutting a watermelon. But you can choose to cut any way you like. I also like this particular scooped up balls of watermelon. By they way, mint as a herb goes really well in a watermelon salad. The image below is from a previous post. Enjoy watermelons this summer as much as you can! nice...i love watermelon..thanks for the post..it is very helpful..
watermelon n feta salad mmmMm. your blog is inspiring. makes me wanna eat better. Watermelon+Feta sounds yumm! Let's make that one day! I love this post, Kahkasan! Although I thought myself a "picking out watermelon" connoisseur, I just learned many new tricks from reading this! 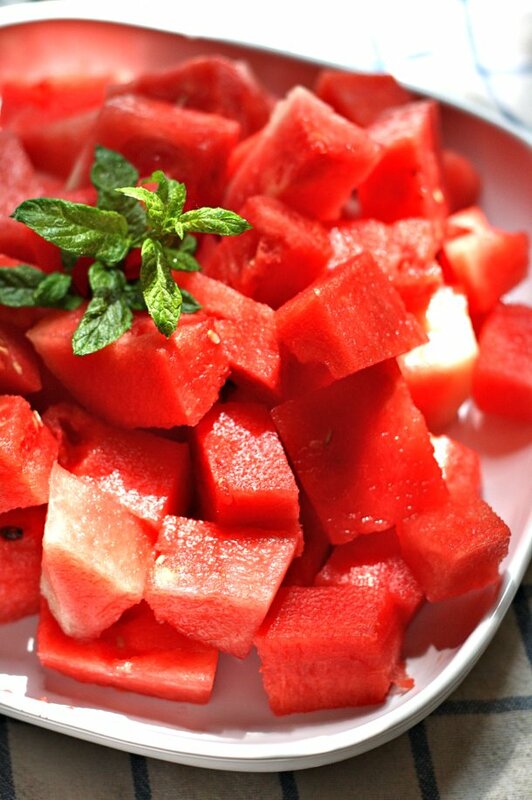 I've been a long time Weight Watcher, and when in season, eat watermelon daily, and a lot of it! It's so satisfying and refreshing! Thank you for sharing your tips!!! Love your comments Carol! I am sure I have many many things to learn from you.